There is something strange about short stories written for children. They seem to exist in a land of sunshine and carefree distraction that we, adults (well we're supposed to be all grown up at any rate), find difficult to inhabit. With The Story-Catcher, I could remember what that felt like. Not with any violence of feeling, thank the gods, but with a smile. The stories in this anthology seems to move in that same sense of time - of somewhere (some-when?) long ago, and yet, somehow, immediate. And, of course, every once in a while, comes a character who completely surprised me (the Story Catcher, for instance). An inspired character; one with an existence beyond the scope of the story. Someone who I could imagine continuing to exist well after I turned the last page. If you know what that feels like, you will agree with me when I say that it's a very satisfying feeling indeed. I could now say something to try and situate this book within the context of Indian writing in English, or more precisely, Indian Children's Fiction, but I don't think I need to. After all, I'm not recommending a good Indian addition to the teeming ranks of the genre (horribly mixed metaphor, that; sorry). And if you wish to read this book (and I highly recommend that you do), don't read it because of it's provenance. Instead, read it because it's a good book. And, because, it deserves to be read. 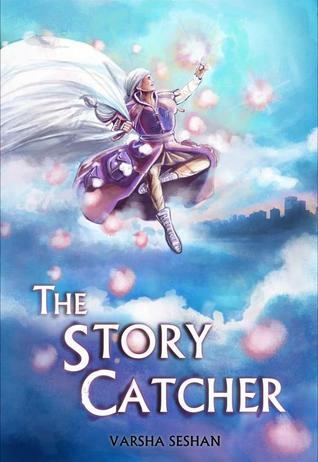 Sign into Goodreads to see if any of your friends have read The Story-Catcher.